The Independent Theatre sector lost a much valued colleague last week. 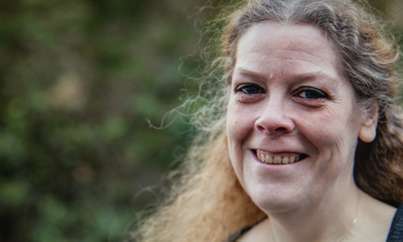 Helen Pringle, Head of Finance and Senior Producer with Clean Break, very sadly died on 14th May following a long period of living with cancer. Helen worked with a number of ITC companies engaged in social inclusion including Half Moon, Trestle, Theatre Centre, Spare Tyre and Theatre Venture. She trained in Technical Theatre at Rose Bruford College and worked as a stage, production and general manager before joining Clean Break in 2001. At Clean Break Helen’s finance, management and producing skills sustained and supported the company. "Helen was much admired and much loved, and is dearly missed by the Clean Break team and the family of women theatre artists in and around the company. She dedicated so much of her working life to Clean Break and was actively involved right up to a few weeks ago. She leaves a great legacy and strong memories of her passion for making theatre and for making a difference to the lives of women affected by the criminal justice system." Helen will be known to many ITC members for her active participation at events, her dedication to the sector, her generosity, integrity and enthusiasm. We pay tribute to Helen’s great contribution to theatre and send our sympathy to Clean Break for the loss of their excellent team member. I am so sorry to hear about Helen's death. She was such a great "go to" person and helped me with so many things over the years, whether it was with a missing lead to get a show started or advise on a tricky issue. Having just lost a colleague, Tony Gouveia, here at Immediate Theatre I appreciate just how hard it is. Please pass on my sympathies to both her family and her colleagues. Nothing is painful than saying good-bye to someone you love. Here I am deeply sorry to hear about the loss of much valued colleague. Yes, I’m sure. Your thoughts are with her. My prayers are her family. It could be a joy to work in the presence of your colleague. And also you will never forget the warmth her smile brought to the place each and every day. When a friend or relative loses a close loved one, it’s safe to assume that for them, the bad has already happened. Yet sometimes, it is very hard to know what to say when someone moved away from our see. Actually I was searching for a best content as part of my work. But I have got this post unexpectedly. And mind is there to comment. Usually I used to avoid such posts and I do not want to increase their pain by my words. So here I must ask sorry for make you remember about her and her memories. I think you can make a story about her life and readers should know about her valuable works. And also it will give a great inspiration for the readers. And also we can mention about her valuable contributions. Feel free to ask any kind of help from mu side. I will be so happy to give a positive message and content to the readers. There are many readers are to like such positive posts, which give inspiration. Here I would like to say a few about myself; Charles Parenteau, presently, I work for the cheap essay writing service. I am taking pleasure in my freelance writing career because it offers me a lot of chance to improve my knowledge and skills in writing. Thank you. Sorry to hear that. You will be missed. She is a very powerful lady and her braveness is really accepted by the entire world. I viewed her talk in an essay writting service, it is brilliant and everyone who feels that they are failure should watch her videos. Every inspiring story is a lesson and never miss a story from anybody, every talk will make you to rethink about your life. I am glad I can look at this post. That's just awesome. Don't you agree? People here, can you tell me more about tree service removal company? If you can, then please help me out as it's really necessary for me. I'm looking for it for a long time. Do you want to learn an academic writing technique? Navigate to this blog for persuasive essay universe! Pablo also thinks I watch him when we are at home together and that I don’t give him enough ‘space’, even though I work until 10pm 3 or 4 times a week. He tells me he loves me and that, but one minute he’s bollocking me for saying or doing something and then a minute later he’s joking about it towards and I feel I can’t say anything back cus it feels like a test.